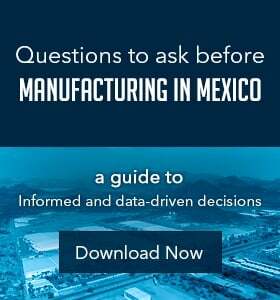 Increased trade between Mexico and the U.S. translates to more U.S. businesses leveraging the nearshoring advantages of manufacturing in Mexico. As a result, an understanding of the the country's regulatory structure surrounding the environment is crucial. It is important to realize that changes to Mexico's regulations and greater enforcement of environmental laws are the new norm because of the North American Free Trade Agreement. Before manufacturing in Mexico or even gaining a thorough grasp of how the government regulates and enforces environmental protection, it is important to first understand the country's legal system at a higher level. Similar to the U.S., Mexico has a national federal system of government and is made up of 31 states. However, Mexico's national government has notably more power over state legislation than the national governments in the U.S. or Canada. Another fundamental difference is that while U.S. attorneys and judges can draft many pieces of legislation based on their own interpretation of the law, Mexico relies on codes as its primary source of law. This is because the federal constitution in Mexico is the basis for all the country's laws. The 1917 Political Constitution of the United Mexican States is the current rule of law, with active amendments. The Mexican constitution includes economic, social and cultural rights of the Mexican people and calls for a federal government that takes an active role in promoting those rights. That being said, Mexico's federal government has more power to enforce environmental regulations than the U.S. government has regarding individual states. "Much of Mexico's ecological regulatory environment stems from 1987." Much of Mexico's ecological regulatory environment stems from 1987, when the country amended its constitution to allow congress the authority to enact laws promoting the participation of federal, state and local authorities in environmental issues and to impose limitations on the use and ownership of real property. 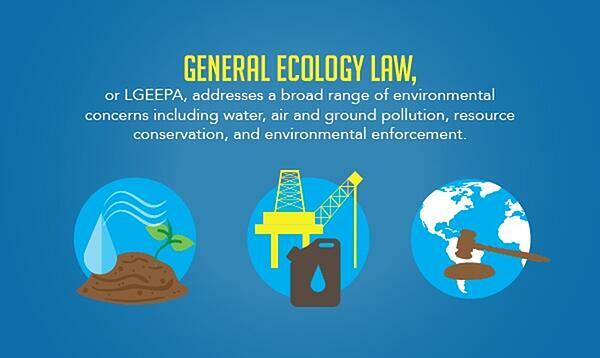 Thus emerged the General Ecology Law, or LGEEPA, which addresses a broad range of environmental concerns including water, air and ground pollution, resource conservation, and environmental enforcement. This law closely resembles a number of U.S. statutes including the Clean Air Act, Clean Water Act, and Resource Conservation and Recovery Act. The Mexican law encompasses many issues that come with the growing industrialization of the country, unlike most American laws which were individually formed in response to specific ecological circumstances. In Mexico, environmental protection is a top governmental concern. Water pollution - Under the National Waters law, key functions in the water sector are the responsibility of the federal government, through the National Water Commission (CNA). Extraction of national waters, discharge of wastewater and occupation of federal water zones all require authorization issued by the CNA. Violators can be held financially responsible for breach of permit under this law. Air pollution - Under Mexican environmental law, all sources of air pollution are regulated. Additionally, many manufacturing sites will be subject to federal jurisdiction, regardless of the municipality in which they are located. As such, all stationary sources of air pollution (such as a factory) must obtain an operating license for emissions. The current law, however, does not outline compensation responsibilities for air pollution. Waste - According to the law, the Mexican government defines waste as hazardous waste, special management waste and solid waste. The law prohibits people from generating, storing, transporting or disposing hazardous waste without the appropriate permits. Manufacturers should know that while the storage of self-generated hazardous waste does not require a specific permit, the facility where the waste is stored must meet specifications. Beyond key regulations, it is important that manufacturers in Mexico understand the country's position on sustainable energy and climate change. For one, the country is committed to reducing its global carbon footprint. In fact, Bloomberg News reported that in early 2015, Mexico became the first developing country to formally promise to cut pollution tied to climate change, pledging a 25% reduction in carbon emissions by 2030. Moreover, as Mexico becomes more industrialized, its economic growth often leads to higher environmental regulation. This is especially the case when it comes to energy. Toward the end of 2013, Mexican President Enrique Peña Nieto introduced constitutional amendments that ended the state's monopoly on the energy sector, opening the country's doors to foreign investment. The Mexican Energy Reform promoted capital and resources to increase energy production and decrease energy costs to consumers. One of the main components of Mexico's 2013 Energy Reform is to enable the country to stay in compliance with global ecological agreements by increasing the use of green energy producers like solar power. With these changes, the Energy Reform also opened their energy market to private companies in hopes of expanding the electrical infrastructure. While these reforms were a marvelous feat and an entryway toward expanded economic growth, many environmental organizations were concerned about the ecological impact. However, SWCA pointed out that as part of the changes, the Mexican government committed to a goal of 30 percent clean energy production by 2023 and included language surrounding regulatory oversight funding for enforcement personnel and penalties for non-compliance. Due to Mexico's recently opened energy market, more investors see opportunities for growth within its borders. That being said, it is important to understand how the country ensures environmental safety while simultaneously promoting long-term economic growth. Finally, manufacturers in Mexico must understand the complex issue of environmental protection at the border. 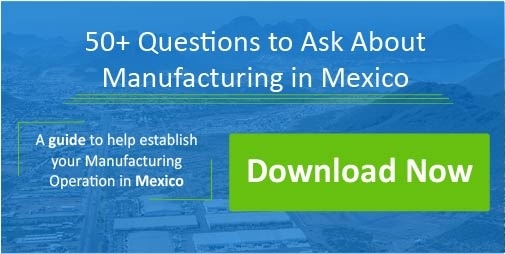 Often times, manufacturing activity in both Mexico and the U.S. leads to runoff pollution at the border, which has prompted environmental action and mutual agreements. According to the U.S. Environmental Protection Agency, the organization granted more than $450,000 to fund environmental projects along the Texas and New Mexico U.S-Mexico border. This move marked the beginning of the Border 2020 Program, implemented under the 1983 La Paz Agreement. The program builds off of the Border 2012 program, emphasizing regional, bottom-up approaches for decision making, priority setting, and project implementation to address the environmental and public health problems in the border region. The U.S. and Mexico are strong trading partners who have a keen interest in maintaining positive relations. While their political structures are very different, both nations take important steps toward environmental regulation to ensure their economies continue to thrive, and initiatives at the border is just one example. Mexico makes environmental protection a priority in order to maintain positive relations with other global economies, which enables businesses to run profitable operations within its borders. 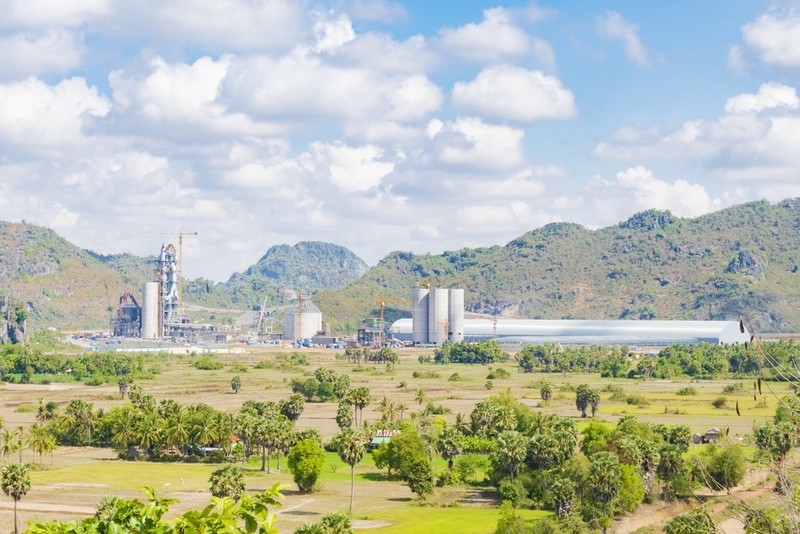 Understanding how to work with environmental regulations when expanding to Mexico can help your company reach its full manufacturing potential.